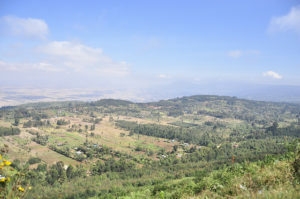 The World Agroforestry Centre (ICRAF) has a lot to offer to help developing countries reach the Sustainable Development Goals (SDGs) and should make agroforestry exemplary for a nexus of different land use-issues. This was one of the main messages of ICRAF’s Science Week 2016. But there are challenges, participants agreed, such as fostering cross-sectoral approaches with the right science. Director General Tony Simons expressed satisfaction that agroforestry was gaining more recognition, e.g. the French agriculture ministry just released an agroforestry development plan. 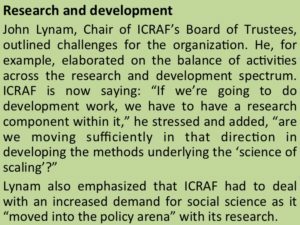 The 120 scientists also debated the “refreshing” of ICRAF’s strategy in the light of the SDGs and the climate agenda, before it will be handed over to the Board in November. Plenaries also dealt with hypotheses to guide ICRAF’s science, and land restoration, among others. As is customary, field trips were organized to show the work of ICRAF partners. “Integration is at the core of what needs to happen to make the SDGs work,” said Peter Minang, Leader, Environmental Services research unit Domain at ICRAF. Division of land uses into different sectors, as it is today, has to be overcome to drive the nexus of food, water, energy plus the factor income. He deplored that in governance “there is no bonus for agriculture and forestry working together” when cross-sectoral action was key to really make progress on the way to reaching the SDGs and to address trade-offs and create synergies at the landscape level. “We have to do a bit more work on finance,” Minang said. There are two aspects of finance to enable the nexus approach, blended finance from multiple sources, and performance-based finance. He gave the example of the pilot project DRYAD on community in Cameroon. “You put in public money as a start-up process that generates a sustainable land-use-based enterprise.” This money is tied to the recipients’ meeting their deliverables. His theme of integration was echoed by guest speaker Alexander Müller, Study Lead TEEBAgriFood, hosted at UNEP. “The silo orientation of the past is not going to solve the problems of the future.” An integrated approach would help to look at the competition for natural resources everywhere. He argued for a participatory approach, bringing together scientists and the people in the landscape to identify the issues. But the interdependency of the elements food, water, energy plus income was also relevant at the global level, e.g. biofuels have an impact on the landscape but are also closely related to global trade, he added. Müller, who is also a Member of the German Council for Sustainable Development (RNE), sees agroforestry as “kind of a micro nexus” for the SDGs, because in agroforestry one has to deal with food, energy, water and income. Deputy Director General Research, Ravi Prabhu urged his colleagues to come up with “liberating hypotheses”. “We are not going to get a nexus approach unless we tackle the barriers,” he warned. The barriers could be structural, i.e. lie in the ways that societies are organized. To break down the barriers on the way to a nexus approach it needs a revolution—from the researchers in a context of agriculture in and for development, Prabhu said. ICRAF has to define hypotheses to address the nexus of food, water, energy plus income if it wants to be part of the solution. Valentina Robiglio, a Landscape Ecology and Climate Change Specialist in Latin America, called on her colleagues to promote intergovernmental cooperation by encouraging all units within a government to work off the same data. “That would be a start towards more integration,” she said. Overall, the “nexus” discussion on the last day of the annual meeting was somewhat exemplary for the current discourse at ICRAF. 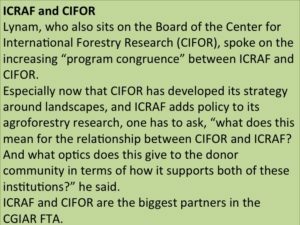 Many other important debates took place in the sub-plenaries, and a recurring theme was—in simple terms—how does ICRAF produce relevant science? The donor perspective was brought into the discussion by Steve Twomlow from the International Fund for Agricultural Development (IFAD): He urged scientists first of all to communicate their work to the users in much simpler terms. Post-doctoral fellow Mary Njenga brought in the perspective from the ground by reminding the audience that rural women in Africa are in need of safe energy sources while facing a myriad of constraints; starting with the time they spend on collecting firewood, a recurring shortage of woodfuel and the health hazard from indoor cooking fumes, to name only a few. She suggested to include bioenergy production in the CGIAR FTA, under Climate change mitigation and adaptation. 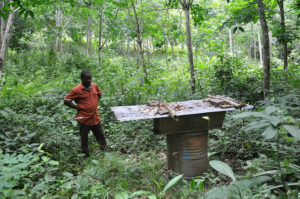 “The big question is: How can we sustainably produce bioenergy in developing countries?” Njenga said. The aim would be to realize an integrated food and bioenergy production policy and practice. Her message was underpinned by a film on women in Kenya’s West Aberdares, produced by Stockholm Environment Institute. For more stories from ICRAF’s Science Week watch this space.